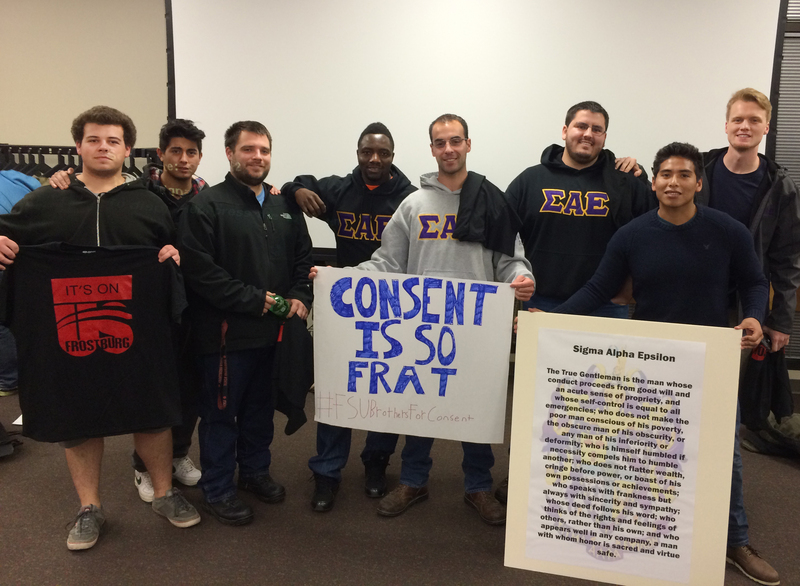 This past weekend, Consent is So Frat went to Frostburg State University to pilot our curriculum with several of the fraternities. 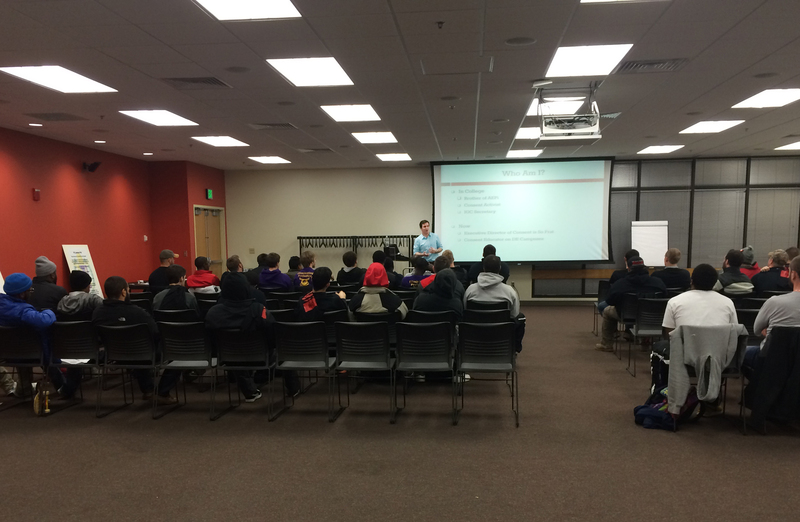 We were thrilled that Frostburg was able to host us and that the Greek community was excited about our program. We had representatives from all five of Frostburg’s IFC chapters as well as one professional fraternity attend this voluntary event. The chapters got a chance to talk about what it means to be in a fraternity and how their fraternal values influence their lives, including how they think about consent. These brothers understand how, as fraternity men, they can and should take a stand against sexual violence on their campus, and will be able to become leaders in their community. 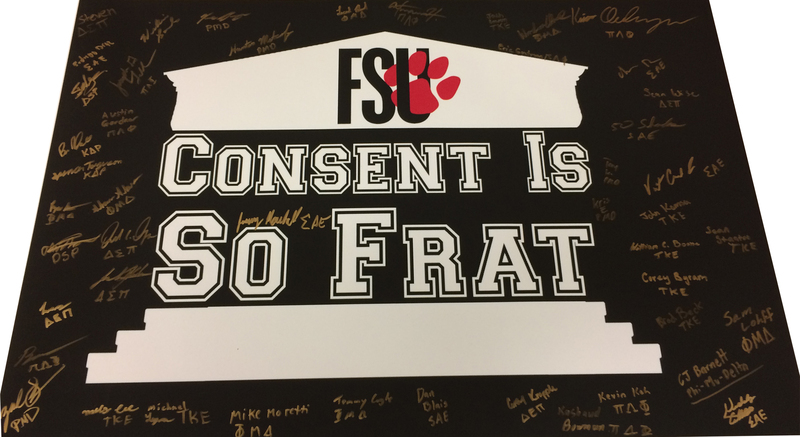 Thank you Frostburg for giving us an opportunity to bring Consent is So Frat to FSU Greek Life and talk with your awesome fraternity brothers. 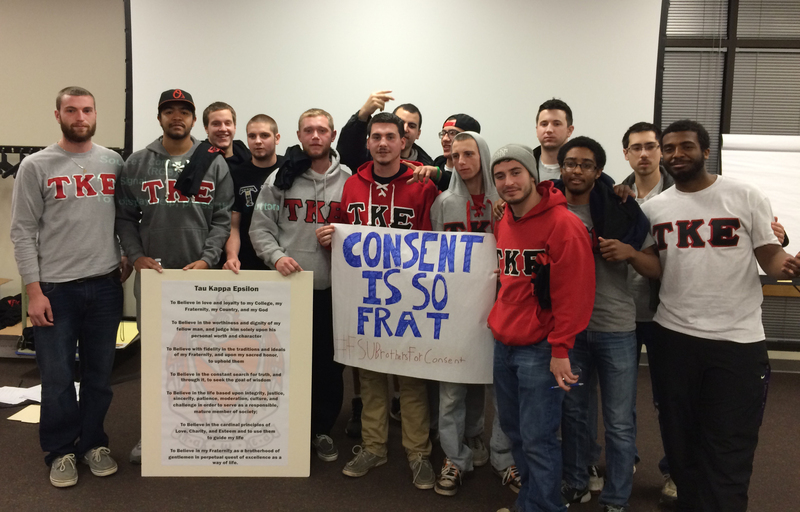 We look forward to working with these fraternities and more Frostburg Greek organizations in the future to promote consent and prevent sexual assault at Frostburg State University! 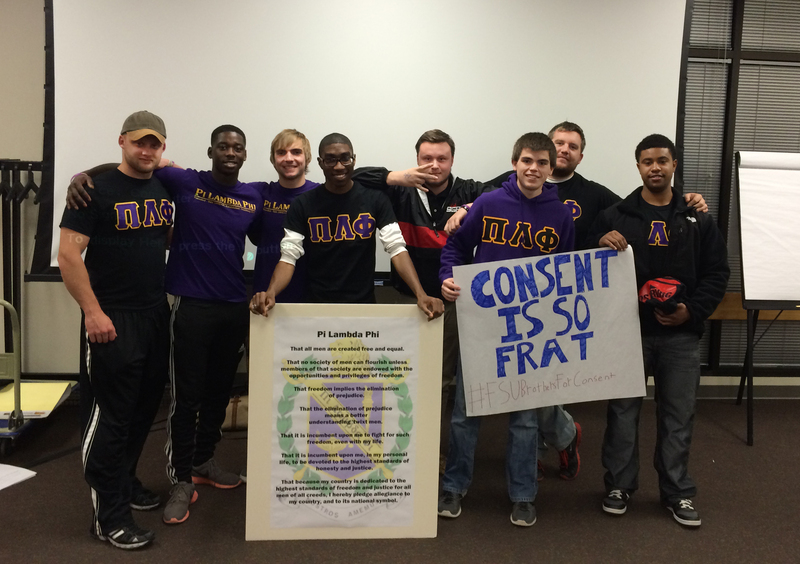 Check out these Consent is So Frat photos from the program! 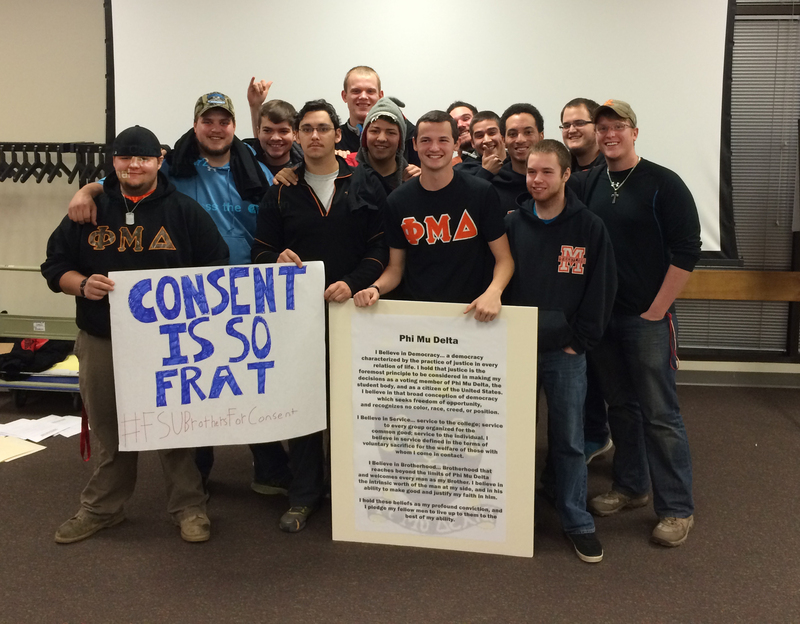 This entry was posted on November 18, 2014 by fratconsent.